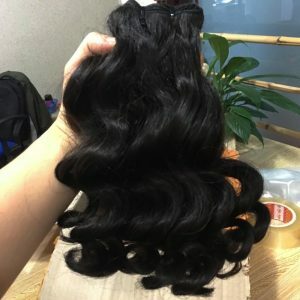 14 inches Cambodian curly weave hair, single drawn and double drawn quality, natural color, good quality, 100% human remy hair, no chemical processed hair, no harm to human, 100% virgin human hair from Vietnamese girls and Cambodian girls, All cuticles run in same directions and without bad smell, soft feel. 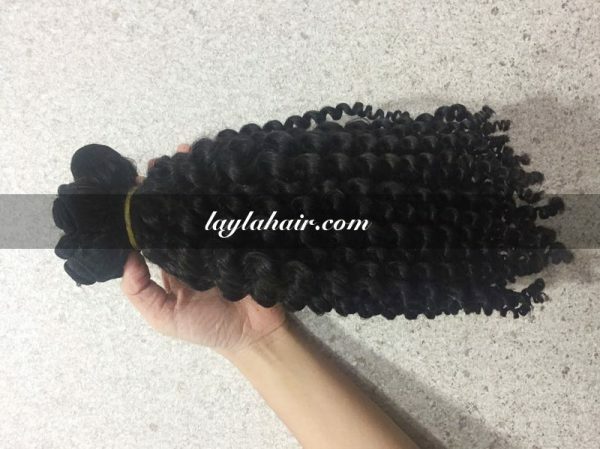 With 14 inches weave lenght (35 cm) of Cambodian and Vietnamese curly hair machine weft, customers are supposed to have medium-length hair which is not too short or too long. 14 inches curly weave hair will tend to fall around the shoulder which makes your look so natural and never goes out of fashion. It feels and looks just like part of your normal head of hair, creating a style with natural movement and body. Many hairstyles can be created with 14 inches curly weave hair like pull off a low ponytail. You will look fabulous. Or you can make some tiny curls. Who knew something so simple could completely define a look? The ends will create a pretty look of goodness. 14 inches curly Cambodian hair and Vietnamese weft hair can be washed and styled or curled with heated appliances without damage. 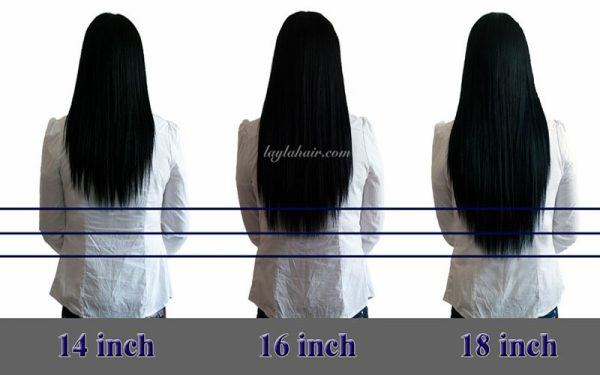 Besides, Laylahair Company always supplies a range of different lengths for customers ‘options. Colors are also available range from brightest of blondes to deep black shades which suit all kind of skin tones. Highlighted colors and ombre-colors are also alternative fashion choices whether for not just short but also curls or waves. For 14 inches Cambodian curly weave hair, we have single drawn and double drawn quality for you to choose. Single drawn quality would contain 50% of full length hair, the 50% of shorter hairs and medium hairs. For double quality, the shorter hairs are removed by hand and not by a machine and the portion is 70%-30% so it means much fuller than single drawn quality. For 14 inches curly weave Vietnamese & Cambodian hair extensions, we recommend you using double drawn quality because it will work efficiently to enhance your own hair more luxuriously. 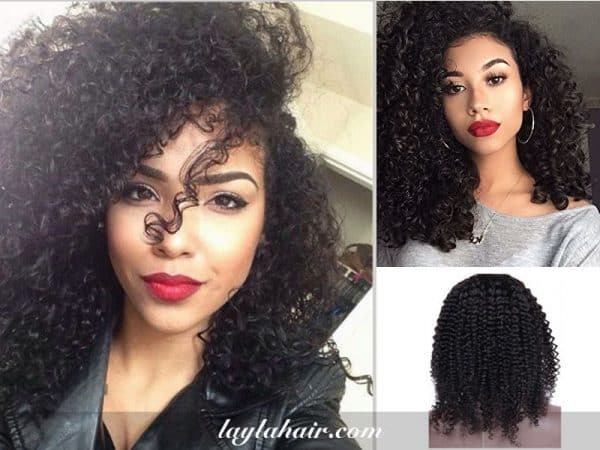 Buying Cambodian hair and Vietnamese hair extensions on a budget is even easier with 14 inches curly hair extensions (14 in curly weave) which come at a lower price point but offer excellent value for money. These are available in a range of styling options and color shades for you at Laylahair company. Quality: Vietnam Human Remy hair. 14 inches curly hair Cambodian and Vietnamese weave hair, Vietnam Virgin Hair, medium size, double drawn quality, 1b color, natural color, buy Cambodian hair weave with good quality, reasonable price, Laylahair- large wholesale vendor, raw Cambodian hair factory Cambodian hairstyles, Cambodian hair bundles, silky and thick, last 2-3 years. 14 inches weave Cambodian curly hair, single drawn and double drawn quality, natural color, good quality, 100% human remy hair, no chemical processed hair, no harm to human, 100% virgin human hair from Vietnamese girls and Cambodian girls, All cuticles run in same directions and without bad smell, soft feel.